I got the basic plans for my coop from http://msucares.com/pubs/plans/6248.pdf . These plans gave me a general starting point. This was the first time I had built any structure. My father was a carpenter, so I guess as my mother says "You have sawdust in your veins." is sort of true. 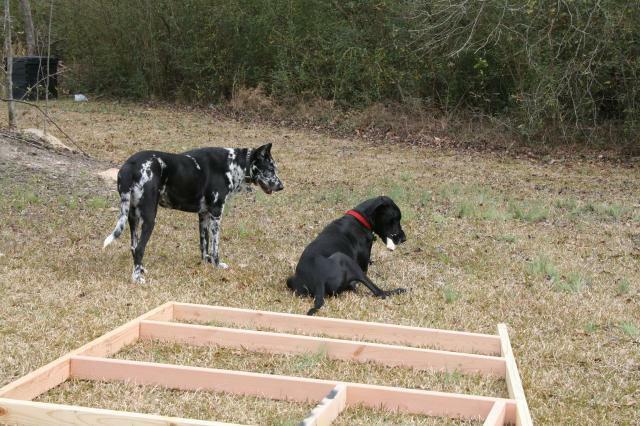 My dogs were not very helpful at all. Mainly they chewed on the scrape wood pieces. I built it under a deciduous tree so the shade can keep it cool in the summer and it will get sun during the winter when the leaves fall off the tree. 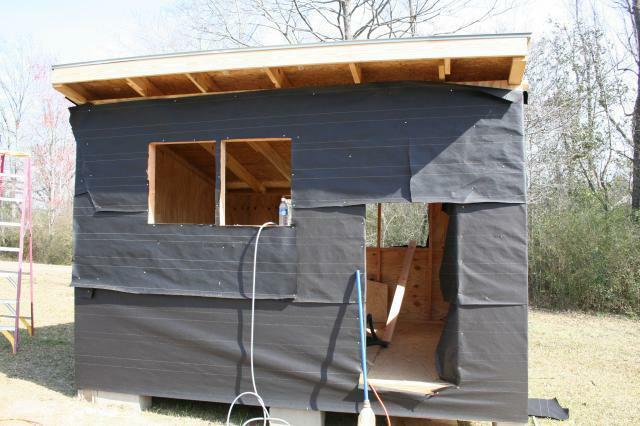 It is ready for siding at this point. I put vinyl flooring in the coop for easier cleanup. I purchased the cheapest stuff at a local floor dealer. It's pretty though. 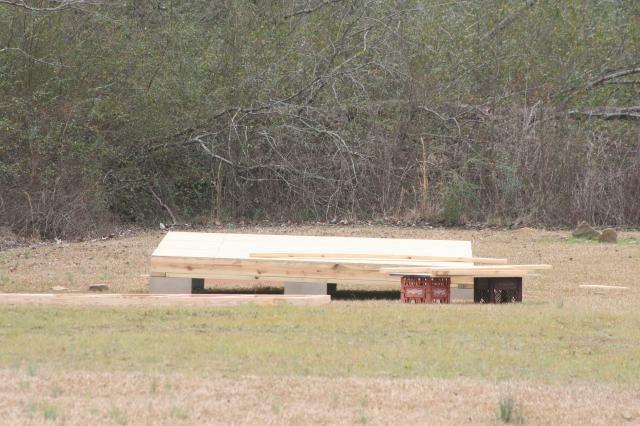 I put cypress siding on the coop. I put hardware cloth on the eaves for added venilation. It gets pretty hot in the summers in Mississippi. The run is 40' x 60'. It is 6' high with 2 x 4 welded wire with the bottom 2' reinforced with chicken wire. 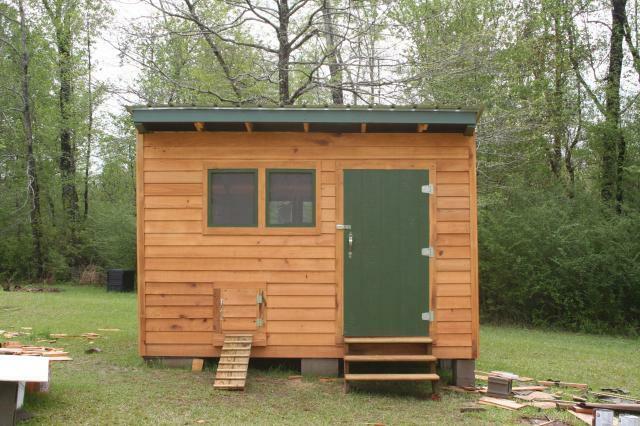 It has a half door on the coop side and double doors on the opposite side in case the run ever needs mowing. I added a chute to attach the run to the coop at the poop door. The top of the chute lifts up so the poop door can be opened during the day and secured at night. 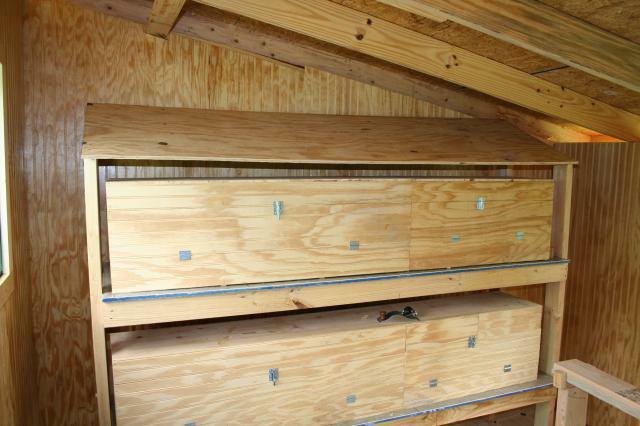 The nest boxes sit on shelves so they can be removed for easy cleanup. The hen enters in the back where it is dark and the eggs can be collected from the front. The roosts are removable for easy clean up. SENTHILKUMAR, webbysmeme, Curnow and 1 other person like this. "Very nice coop & run"
I have 12 one week old baby chicks. 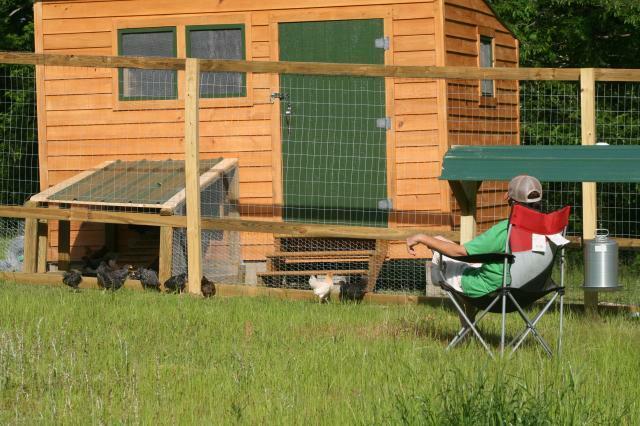 I want to build a coop and run exactly like yours! I think it is the perfect set up. Thanks for sharing. This is so coooool! Purely awsomeness and truly inspiring. Thank you! So you put 25 chickens in a 10x12 that’s 6/7ft high? 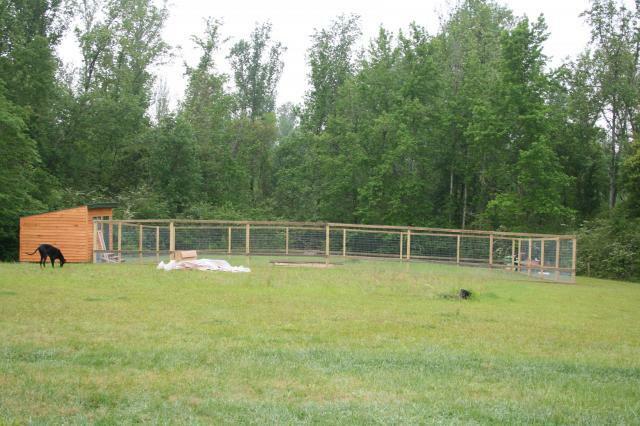 I have 16 chickens they are only about 3-4 weeks old would this or an 8x12 6ft high be sufficient? 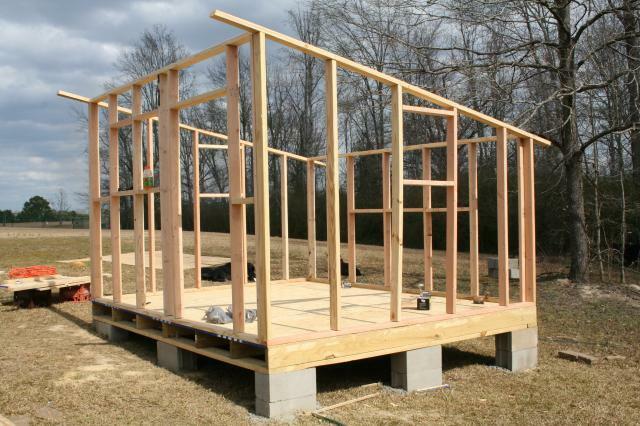 8' x 12' would be plenty of room for 16 chickens. 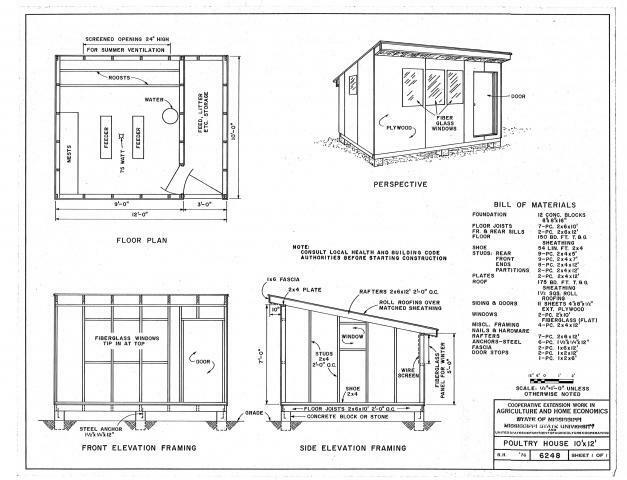 I love this plan....needing to build a new chicken house but will probably wait until August as we are also having a machine shed built and I know there will be lots of scrap to recycle...and I can look around for cheap/free doors or windows to use as well. Thank you so much for sharing! I have the exact plans and just brought home almost all of the materials. Your pictures are a God send! Beautiful coop, I love it. Really great job! Love this plan! It looks awesome! I have 25 week old RIR chicks and 24 Brown Leghorn chicks. All supposed to be pullets...we'll see. This coop looks like what I need. It's the perfect size for my flock. Plus, I know that it is made to withstand the same type of weather we have here in Alabama. Thanks for sharing! 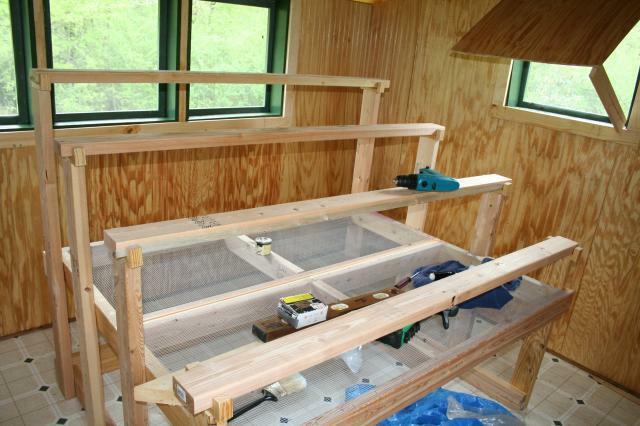 I have had chickens all of my life, but because we are moving I am now faced with the task of building a coop. 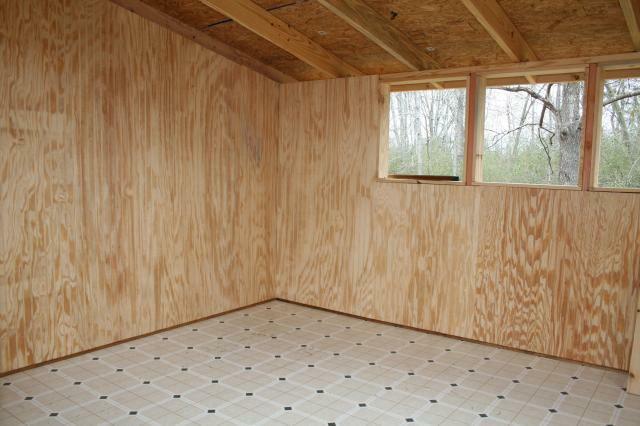 Every other place I lived had a barn or outbuilding that could easily be converted into a chicken coop. Of course I have a lot of experience raising chickens and poultry in general, but not much in building things. I've bookmarked these plans for future reference. While there are lots of nice plans out there, most of them seem geared to small flocks of half a dozen birds or less. Since I will order my new chicks (as I've always done) and the minimum order is 15 or 25, I want something bigger, and I also want a flock about that size anyway. I know some hatcheries sell small numbers of chicks, but with the (in my opinion) exorbitant surcharges for small orders, ordering two or three is just about as expensive as ordering 15 or 25. 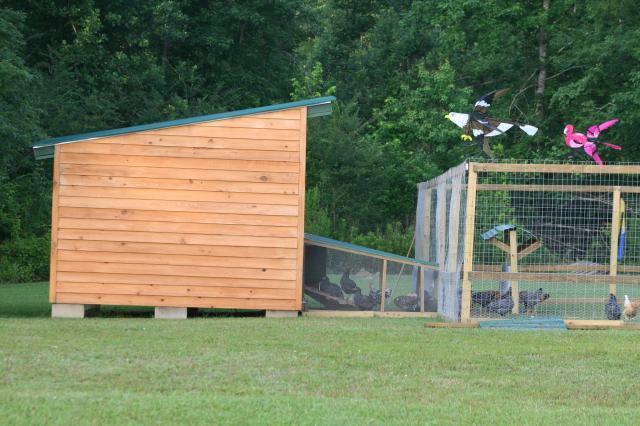 WOW that is an AWESOME coop!!! Im with you. Wish I had made mine bigger as well. Thank you so much for sharing. Beautiful! Thanks for sharing so many details! I really like this clean contemporary look!